Contribution Margin vs. Gross Profit Comparative Statements There are two.. There are two ways to present the operations of the company in to statement forms. Both are these methods have their separate usage. 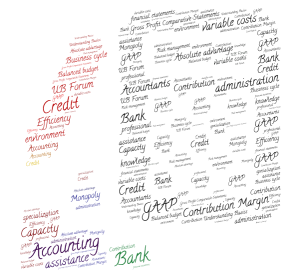 Contribution margin approach is usually meant for interpretations of results and future planning by the internal management of the company, while the gross profit statement or profit and loss statement is required by regulatory authorities to present the operating activity of the company in accordance with the presentation allowed by generally accepted accounting principles (GAAP). In matter of presentation, the contribution margin approach helps the internal management to access the relevant and irrelevant costs in decision making process. This statement helps in determining and distinguishing all the variable costs and fixed cost so that the management can be helped in their decision making. While the gross profit approach or Profit and loss statement is required by GAAP for presentation of company’s operations. This is a generally accepted format and it is helpful to the external users of the financial statements to properly understand the operations of the company and deducted conclusions about the company on the basis of these reports. In contribution margin approach, all the variable costs like mainly variable, manufacturing expenses, variable administration expenses and variable marketing expenses are summed up and deducted from the total revenue to calculate the contribution margin and after that all the fixed costs are summed up in the similar manner to calculate the operating income. While in gross profit approach the statement follows the departmental method in which costs are presented both variable and fixed with relevance to their departments, for example variable manufacturing costs and fixed manufacturing costs then administrative costs and then marketing costs in a similar fashion.